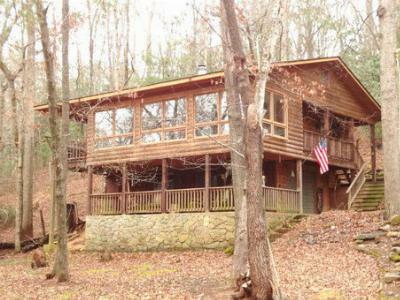 Nestled on 1.52+/-AC with 2 ponds and nearly flat property - This log- sided home has end of the road privacy and easy access. 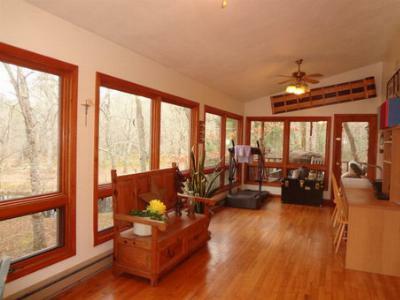 Den/Study is a beautiful vaulted Sunroom with Hardwood Floors overlooking the pond. 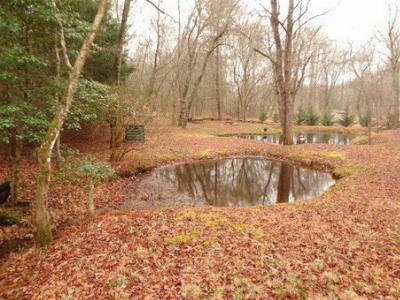 Two Ponds, Picnic Spot and Firepit---Bring the Smores! Adjoining 10.8 X 7.10 covered porch for grilling. 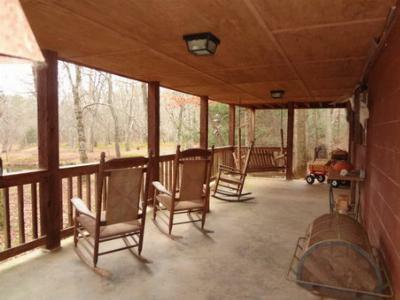 Additional Covered Porch on lower level is 27.8 X 11. New HVAC 2011, Roof 2006, Fridge 2011, Oven 2008, Well pump 2010 and updated bath. Main level windows are double pane. Unfinished lower level w/full bath & 1 car garage. Schools servicing this area include South Macon Elementary, Mountain View 5-6, Macon Middle and Franklin High School all within 20 minutes of this home.